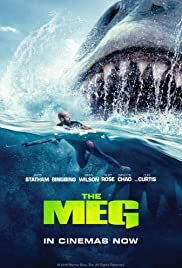 The Meg Review – Reviews Downloads and More! Giant sharks wreck havoc. After first escaping an attack by a massive shark a man has to try to cope with his fears to go against them and help a team which is trapped deep below the sea. This has a lot of action and some craziness which most will find amusing. Basically this is Jason Statham vs giant sharks haha. You can’t take this too serious obviously. It is overall a silly fun shark movie.